Do you need to rethink your warehouse’s design? Would you like to start up a new business and need a warehouse logistics layout?Are you having second thoughts? Which logistics professional can get things rolling? 50 years in business with projects in more than 70 countries. The numbers don’t lie; Mecalux is a business, which over many years, has been doing everything in its power to meet the logistics needs of all the companies that have turned to it for help.During these 50 years, we have learned, adapted and grown with each proposal we have put together for our partners. Besides completing massive logistics projects in Spain, we have also had the pleasure of developing projects in France, the US, Germany, Italy, Mexico, Brazil, etc. Overall, many companies from more than 70 countries worldwide have decided we deserve their trust. Plus, keep in mind that at Interlake Mecalux our professionals and specialists pass on what they’ve learned from the whole project process. There is nothing better than a company who knows that team work comes first. Mi casa es tu casa, your project our top concern from the moment you get in touch. Our professionals give 100% to help you develop your ideas. From a first mock-up to the real-life running solution, we are there each step of the way to revamp or hone your project. We make the effort to understand and answer your questions. Each company has specific needs. For example, some find their answer in a traditional warehouse, while other need to automate all or part of their warehouse. The devil is in the details, that’s why our team makes sure it knows what makes your business tick. 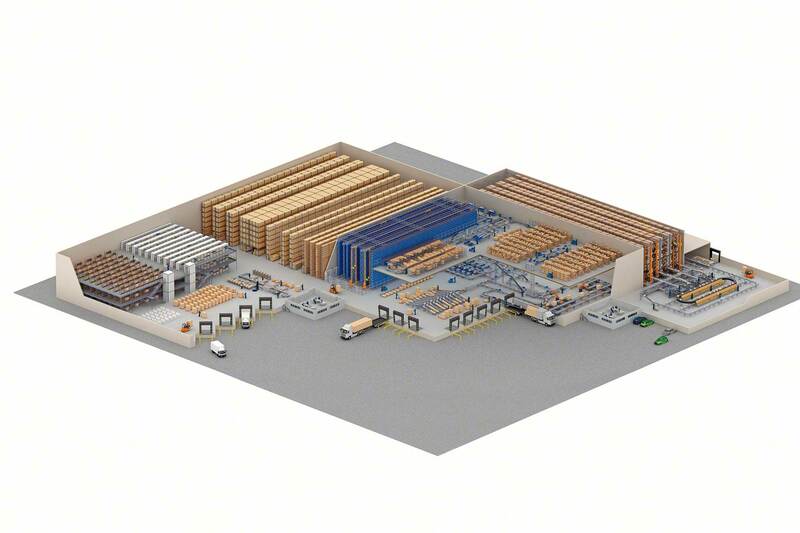 So, when it comes to developing a warehouse, we can gauge your needs and aims and scale our products to you. Much, much more than a simple meet and greet from a sales rep, you’ll have a real team of experts working with you to understand your must-haves and meet those needs through real-business solutions. Our experts are continuously trained to stay relevant and know what is driving technology. For example, just to develop the Warehouse Management System, here at Mecalux we have more than 170 highly-qualified engineers dedicated to developing relevant IT solutions. We keep on top of our game by continuously updating ourselves. This means we can offer personalized, adapted, high-tech solutions that consider concepts like the Internet of Things (IoT) and Big Data, to name a few.Your ideas and project combined with our experience will mean your company will be one of the most competitive in your sector. In the search for the holy grail of storage and to offer impeccable, exemplary service, our team of professionals will help you deploy the best storage solution and the warehouse management system best suited to your volumes, product quantities and potential. After you make your choice, we still make it our business to stay involved, training your teams on the ins and outs of the new installations and making sure these installations are running smoothly down to the last bolt. Choosing Mecalux means choosing to optimize your long-term logistics with peace of mind, since we even offer a 24-hour a day, 7-day a week remote maintenance service to our customers. If you decide we are the right choice, whether to do up a design for your warehouse or hammer out your ideal storage solution, one thing is for sure, you won’t regret this move. For any questions you might have, feel free to get in touch by calling 1-877-216-0612 or contact us online. Our team would love the opportunity to answer your questions as soon as possible.